Tired of the same old nail polish colors? Or your nails look boring all the time? We got your back! With our archives of nail polish designs, your mani will be popping. You will get so much inspiration to create your own unique design. By the way, mani is an essential element in every woman’s overall look. Never underestimate its importance. Cute polished nails, nice hair and makeup will make your look on fleek. We also stay up to date with events in the beauty industry. So, you will keep up with the trends with us. We collected a great spectrum of trendy nail polish colors. If you want your mani to last longer, choose shellac nails. 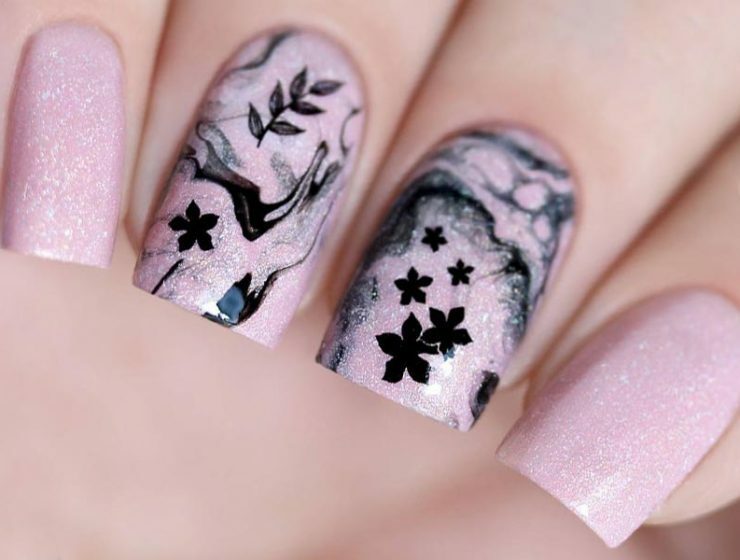 Find out all the pros and cons about this technique and discover cute shellac designs. Pick out the best nail lacquer to suit your look and personality. Matte nail polish is all in this season that if you need to pay attention to the fresh hues that are popular now. Glow in the dark nail polish is something fresh and trendy to give a try to, and there is a full set of spicy ideas to try out. We are sure there will be something special for every taste here! China Glaze nail polish is one of the most requested brands, and the new collection is out. It is time you learn about the freshest trends! Special fall/winter China Glaze nail polish review right at your disposal! Enjoy the new collection!